From watches to thermostats to toothbrushes, it seems like everything connects to the internet these days. 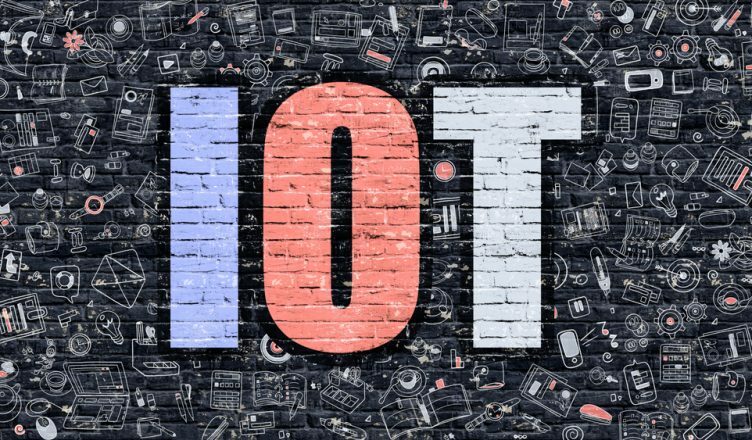 There’s a name for this – it’s called the internet of things (IoT), and it can work wonders for your business. The IoT has the power to reduce expenses and improve productivity. Imagine being able to see where a product is during every stage of the delivery process, with delays and detours displayed to you in real-time. With the IoT, you can do exactly that. According to McKinsey & Company, the IoT will have an economic impact of up to $6.2 trillion in 2025. Winning over customers is a zero-sum game. When your competitors use the IoT for route planning purposes, they’re able to improve driver performance and show up on time more often. If you refuse to use the IoT, you won’t get those benefits. Your competitors will hold an advantage over you. Don’t give your customers a reason to switch over to the other side. Final mile delivery software helps your drivers deliver packages to your customers more efficiently, but that’s not all it’s good for. It also makes the human and robot operators in your warehouse more efficient. 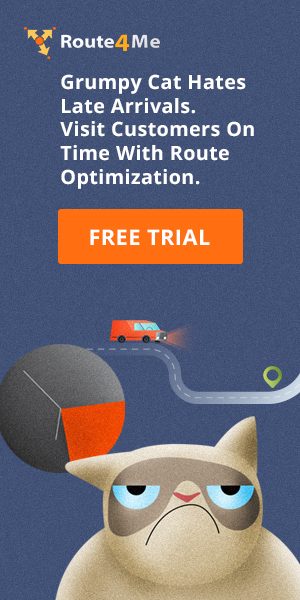 First, Route4Me’s final mile optimization software creates a map of your yard or warehouse. Then, our route optimization algorithm uses this mapping data to create optimal pick-and-pack routes inside your yard/warehouse. After you describe your different item types, quantities, and locations, our algorithm will direct route loading equipment or human operators to the nearest pickup location. Our vehicle route planning software ensures that your equipment doesn’t get overloaded by weight or overwhelmed in any other capacity. Also, our software allows you to analyze all the routes inside your yard/warehouse in real-time. 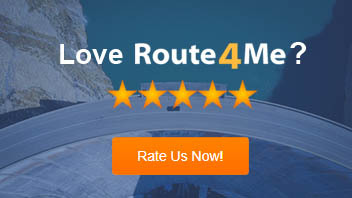 This feature is exclusive to Route4Me. You can learn more about Route4Me’s pick-and-pack optimization feature here. Automated guided vehicles (AGVs) are usually designed to travel the same path over and over again, without having to navigate around obstacles. In a manufacturing setting, your automated vehicles and forklifts don’t really need a human operator. Nothing should be getting in their way. But in a warehouse setting, things are a little more complicated. AGVs need built-in intelligence in order to move around your warehouse and overcome congestion. Obstacles in a warehouse can be unpredictable, so you’ll need a human operator to take over sometimes and make sure nothing goes wrong. For maximum efficiency, you need AGVs that can work autonomously in an manufacturing setting and can also be overridden manually for the more difficult maneuvering in a warehouse setting. This way, your operators will be able to safely fill orders without wasting much time climbing in and out of vehicles. Planning a delivery operation is pretty complicated. Part of what makes it so complicated is that workers in your warehouse might not have direct access to your computing system, making communication difficult. Augmented reality (AR) devices can really help you out here. AR helmets and cameras use IoT sensors to project digital elements over the real world. This will show your warehouse workers what they need to know, even when they don’t have access to your computing system. An AR app can collect, process, and analyze data from your workers, which allows them to make more informed decisions about the routes they choose to take. It makes their jobs easier and increases productivity. The rise of smartphones and tablets has made accessing and analyzing data more tactile. Instead of typing on a keyboard, we now use our fingers to directly control the screen we’re reading. 3D touch through virtual reality is even more intimate. This technology allows you to experience real-life scenarios remotely in the virtual world. This is a great training tool. With VR-based technology, you can use a simulation of your robotic arm module to practice pick-and-place operations. This helps your team prepare for real-life situations, and there’s no risk of any of the consequences that come with messing up in real-life. Overall, the IoT will make your business more efficient, improve your training program, and give you an advantage over your competitors. So, what do you think about the IoT? Do you have any questions about it? Let us know in the comments section below.